Two Guys Bow Ties is a collaboration Adam T and Tim P. They set out to make unique hand crafted wooden bowties. Through many different ideas and experiences they discovered they made a great team. Adam's work ethic and business mind keeps Tim's creativity and eye for detail on track ensuring they are able to bring the highest quality, hand crafted bow ties to market. Adam T is a family man with a loving wife and two kids. When he is not making hand made wooden bow ties he loves playing with his son Jackson and rock climbing with his wife Stacy. Tim is a chronic tinker and maker. Most of his time is spent in his live/work studio space in downtown Tulsa honing his craft and experimenting with new materials and techiniques. He works closely and often collaborates with his wife, Interior Designer, Kara. 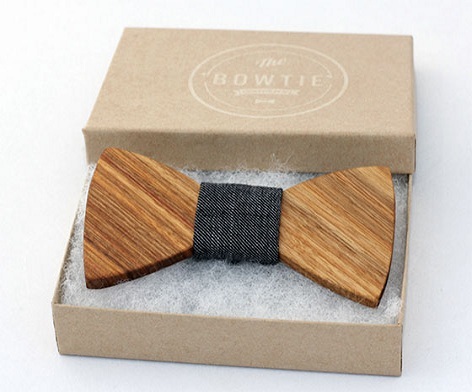 The bowties offer limitless oppurtunities for them to explore and develop new design and finishing techniques. While the styles will evolve and change constantly, the quality and finish work won't. Check back often their store online to make really sure you don't miss out on their latest creations. So just enjoy them!